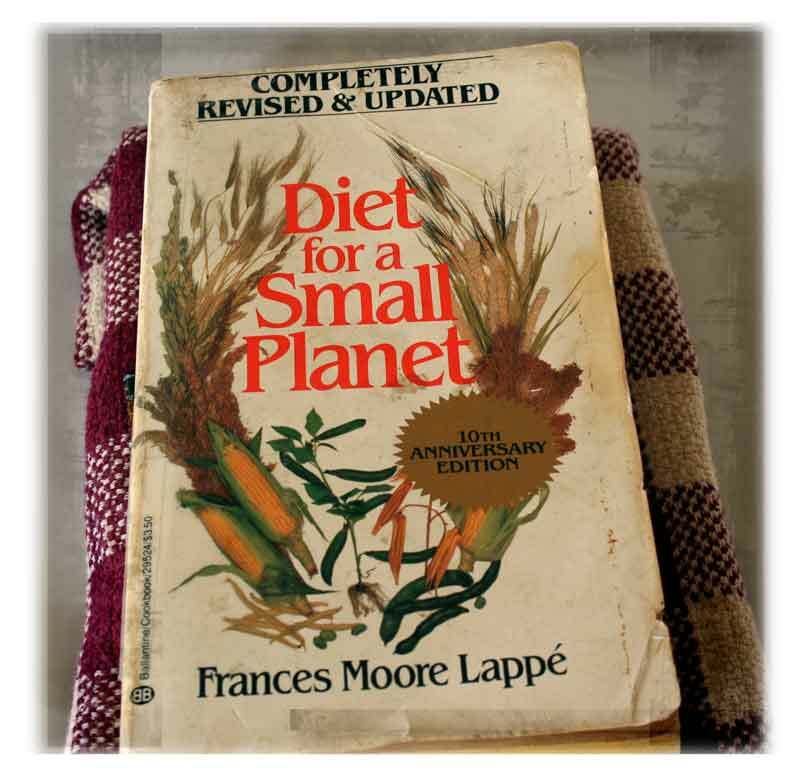 This recipe is straight from the book Diet for a Small Planet, (1982) by Frances Moore Lappé, which is the 10th Anniversary Edition. I was in New York City and spending a week in June of 1982 with my sister who lived in Manhattan at the time and found this book at a progressive bookstore. This is the first book I bought that could be labeled within the cookbook category, but at the time it was more than just a cookbook. This book is a statement about a way of life and living that Lappé has been espousing since the early 1970’s. Eating healthy with an observance of the good bounty and all the while treading lightly on mother earth. She promotes the use of what is called “complementary proteins”, combining two or more less-usable proteins to create one of a better “quality”. Over the years millions of people have bought copies of this book among others by Lappé, and it is a testament to the staying power of good food and responsible eating. I am sure the 20th anniversary edition of this book has even more updates in it as the 10th did in celebrating the 1980’s. Now in the 2000’s there is a new surge of support and promise for locally grown, organic, unprocessed and whole foods that continues to grow. I look forward to obtaining an updated copy of this favorite book of mine, the paperback spine has broke in two and it just goes to show how much it has been used over the years. A few months ago, my stepson Bryan asked me to start putting up recipes that he could use for his new apartment life while attending Louisiana State University (LSU) in Baton Rouge, LA. So I created the College Life Cooking category and have already tagged a few posts for him. This recipe is one I made on many occasions at friends apartments when I too attended LSU in the early 1980’s, it is quick, cheap and easy to make and tastes really good too. Tread lightly on mother earth, eat well, and she well provide! Here is the recipe straight out of the book as it is presented on page 252. I’ve followed this procedure many times and have never had problems with it, always came out as expected. 1. Cook lasagna noodles, drain, and set aside. Preheat oven to 350°F. 2. Heat oil in a skillet and sauté garlic for 30 seconds. Add the onion and mushrooms and sauté 2 to 4 minutes. Add celery and green pepper and sauté 3 minutes. Add remaining ingredients except tofu. Bring to a boil, and simmer 3 minutes. 3. Spread a third of the sauce in the bottom of a 9×13-inch baking dish. On top of it put half the noodles, then half the tofu. (Sprinkle 1 tablespoon nutritional yeast, if desired) Repeat the layers of sauce, noodles, and tofu (and optional yeast) Top with remaining tomato sauce. 4. Bake in oven for 25 to 30 minutes. Interesting blend of flavors! I love “unearthing” those older cookbooks. Always fun stuff! What a brilliant, healthy lasagne! Looks absolutely delicious too. I have heard of tofu replacing the ricotta for a vegan dish, and was always so skeptical about the texture and the soy flavor from tofu messing with the lasagne flavors. However, your east meets west spin makes it appealing as an evolution of the lasagne. In reference to the tofu, by mashing it with a potato masher tool the texture is quite similar to that of ricotta. And while tofu alone has a fairly bland flavor profile , it will absorbe flavors from the other ingredients such as the tomato sauce. In the lasagna the tofu is disguised as cheese for the unknowing diner. In other words, it would be very hard to tell the difference in a side-to-side blind taste test. Love this recipe. I’m not vegan, but I always think that if you can substitute something healthy and more humane with no flavor sacrifice why not do it? Also, I am one of those weird people who actually likes tofu. My favorite type of lasagna has always been tofu-based. The additional asian-inspired ingredients make this pretty cool! very interesting use of tofu! 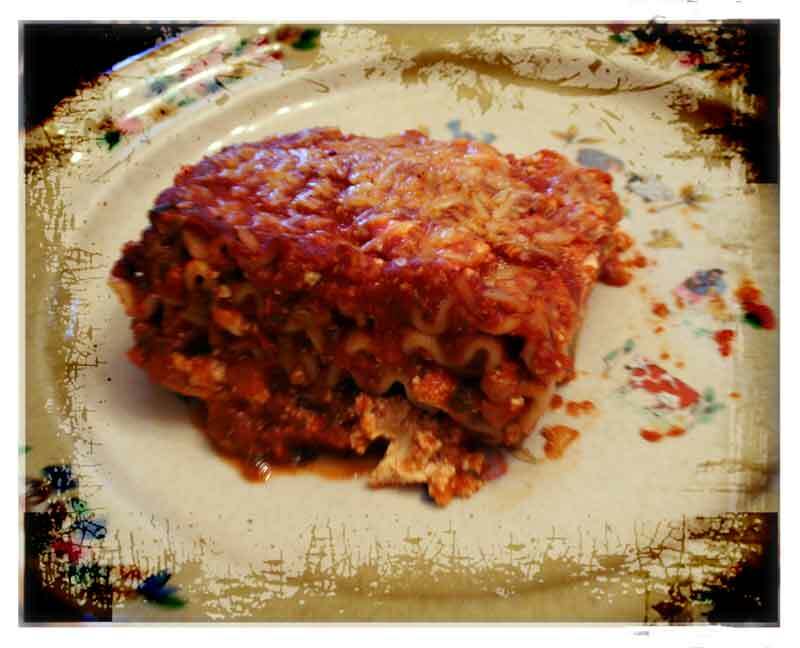 and it came up with a very interesting lasagna i’ve ever heard of! This looks delicious! A great way to sneak tofu into the diet (of children… or husbands… who wouldn’t normally eat it)! Wow, great post, east meets west! Thank you so much I was looking forward to a great Lasagna and The Chef whipped it and mmmm so good thanks Ryan! Yum..can’t wait to try it! Thanks. What a wonderful recipe from a very loved book! If you would like to kick up the taste of the tofu ricotta you could add about a 1/4 cup of ‘nutritional yeast’ which can be found in the bulk section of Whole Foods. I love this stuff! I have found it elevates the tofu ricotta a bit, adding more of a ‘cheese’ flavor–along with any other favorite spices–onion powder, garlic powder, some oregano and what have you. Ah yes, nutritional yeast is a perfect addition to this recipe. I need to get some of that again, we used it in many preparations when I was a cook at Natures Way Restaurant many moons ago in New Orleans. I think this might be the winner for the potluck Im going to this week. I love tofu and made some today added it to a spinach salad. This lasagna sounds really good and simple. Thanks! Wow, this is really flavourful and extreme delicious! Go strait to my list to do! Thanks Chef. Nice to see an alternative use for tofu, rather than stir fried. ~Was 1982 really that long ago? Say it isn’t so! 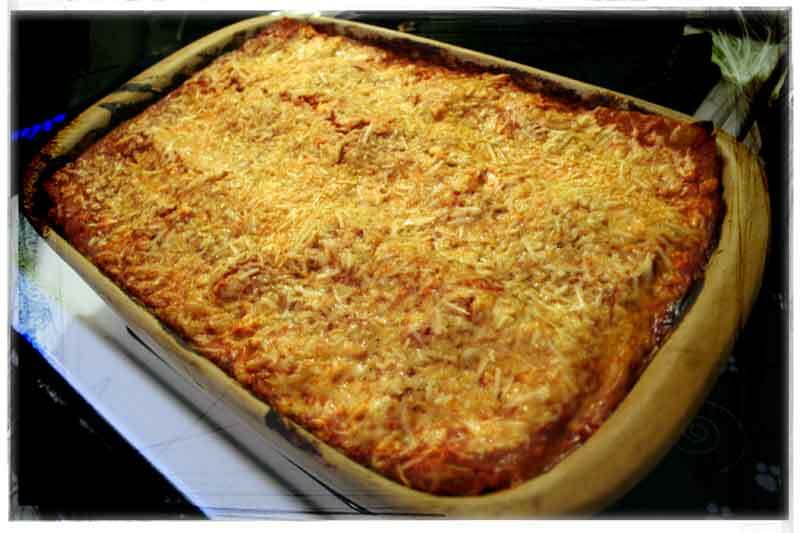 I am hugeee lasagna fan, and this one looks just perfect! Thank you for this great recipe!